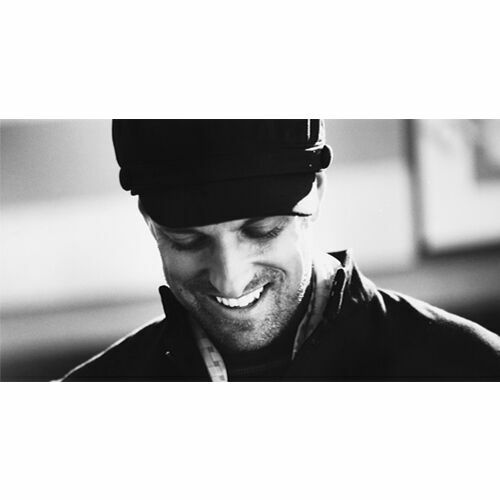 Daniel Richard Powter (born February 25, 1971) is a Canadian recording artist. He is best known for his hit song "Bad Day" (2005), which spent five weeks atop the Billboard Hot 100. Powter was the only solo artist to register a #1 hit in that year without previously having had another song chart in the Hot 100. Early life edit: Powter grew up in Vernon, in the Okanagan-Shuswap region of British Columbia. As a child, Powter played the violin. He changed to piano after a group of children bullied him and destroyed his violin. A dyslexic, Powter had trouble in university studying music, and later dropped out in order to pursue his own musical career, learning all songs by ear and recording new melodies that he created. Powter released his debut album, I'm Your Betty, in 2000. The album, limited to a very small print, contains ten songs, two of which--"More Than I" and "Negative Fashion"--were featured on the television show Higher Ground. Daniel Powter edit: Powter's first single, "Bad Day", was first released in Europe in mid-2005, in advance of his second album, Daniel Powter. Warner Bros. Records submitted the single for commercial production, and it was subsequently chosen by Coca-Cola as the theme song for an ad campaign in Europe. The song achieved heavy airplay in most European countries, peaking at number three on the overall European airplay chart. It reached number one on national airplay in Germany, number one on the singles charts in the Republic of Ireland and Italy, number two in the United Kingdom,--where it stayed in the top ten for thirteen weeks--and number three in Australia. In the United States, "Bad Day" was used extensively on the television series American Idol in its fifth season. Powter sang the song live at the end of the final show of that season on May 23, 2006. The song reached number one on the Billboard Hot 100, Adult Top 40 and Adult Contemporary charts, making Powter the first solo Canadian male artist to top the Hot 100 since Bryan Adams in 1995 (with "Have You Ever Really Loved a Woman?"). The song also reached number one in Powter's homeland of Canada. On July 2, 2005, Powter performed at the Berlin installment of Live 8, a simultaneous group of concerts in nine countries intended to raise awareness of poverty in Africa and put pressure on world leaders for aid. "Bad Day" came in fifth in the British Record of the Year 2005. In 2006, Powter won in the New Artist of the Year category at the Canadian Juno Awards, and was nominated for Best International Breakthrough Act at the BRIT Awards. "Bad Day" was nominated at the 2006 Billboard Music Awards for Hot 100 Single of the Year, and was named Billboard magazine's song of the year in 2006. At the 2007 Grammy Awards, Powter received a Best Male Pop Vocal Performance nomination for the song. The subsequent singles from Daniel Powter - "Jimmy Gets High", "Free Loop", and "Lie to Me" - were released in different parts of the world, each failing to match the success of "Bad Day". "Free Loop" was deemed chart ineligible in the UK (as the release included a version of "Bad Day" as a B-side whilst "Bad Day" was still in the chart, hence breaking chart rules) and failed to chart in the U.S., though it reached the top forty on the Adult Contemporary chart. Following the release of "Lie to Me", "Jimmy Gets High" was to be the fourth single from the album in the UK, but its release was cancelled. A new track called "Love You Lately" was released as the next U.S. single, preceding a re-release of the album Daniel Powter that was also cancelled. Powter would never again crack the Hot 100 charts in the US after "Bad Day". Later career edit: In March 2008, a song by Japanese singer Haru featuring Powter, "Find My Way", was released. In September, Powter released his third album, Under the Radar. This was the same year in which he embarked on the Wolfbaggin' Tour, joining the likes of Alphabeat and Lil Chris. Powter also performed piano on tracks for what was scheduled to be Marcy Playground frontman John Wozniak's solo album, Leaving Wonderland...in a fit of rage, but the album was released under the band's name. Powter was still given credit for his contributions to the song "Gin and Money". In December 2009, Powter was named as the decade's top One-Hit Wonder by Billboard. The magazine describes one-hit wonders as acts whose second hit did not reach the top 25; they only included acts from 2000 to 2007. Powter's notoriety is unmistakable, since "Bad Day" is his only Hot 100 hit. On January 1, 2010, he performed "O Canada" at the NHL Winter Classic. In that same year, he released his greates hits album, Best of Me, and with it, recorded three new songs and a new version of the title track to go along with 'Bad Day', 'Jimmy Gets High', 'Next Plane Home' and his other singles. Only one was released as single and that was 'Lose To Win'; again failing to re-capture the success of 'Bad Day'. Sometime after, Powter took a hiatus. On April 10, 2012, Powter's new single "Cupid" was released to US and Canadian iTunes Stores. Powter's latest album, Turn On The Lights, was released in July 2012. On December 5, 2012, Powter was featured in a song with Japanese singer May J with the song "Back To Your Heart". On the 18th he released the single "Christmas Cupid" (which is a Christmas version of his song "Cupid").